Julia Trickey is an award winning botanical artist and tutor who has exhibited internationally. She is particularly drawn to specimens that are less than perfect, especially leaves. 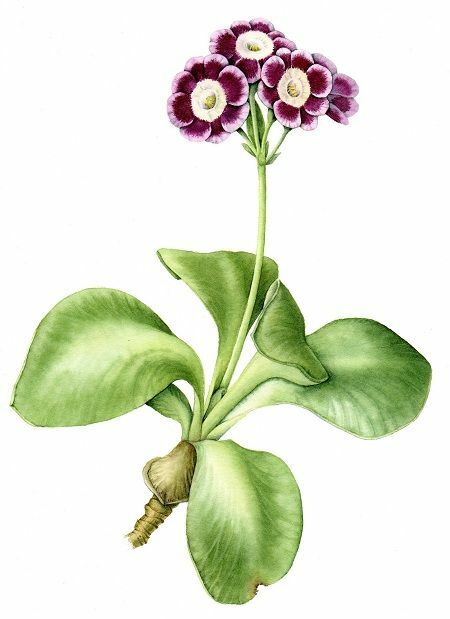 On this course she shows you how to produce accurate plant portraits using graphite, tonal drawing and pen with watercolour washes. Over two consecutive Fridays this course will introduce you to watercolour techniques used for botanical painting. The course will cover the following: DAY 1 Morning: Painting washes, colour matching and layering. Afternoon: Dry brush techniques painting botanical detail using winter-flowering pansies. DAY 2 Morning: Wet-in-wet washes for shiny leaves and autumnal colou; Afternoon: Painting three dimensional shapes using fruit.